Twenty-five years after THE SANDMAN first changed the landscape of modern comics, Neil Gaiman's legendary series is back in a deluxe hardcover edition! From the birth of a galaxy to the moment that Morpheus is captured, THE SANDMAN: OVERTURE features cameo appearances by fan-favorite characters such as the Corinthian, Merv Pumpkinhead and, of course, the Dream King's siblings: Death, Desire, Despair, Delirium, Destruction and Destiny. 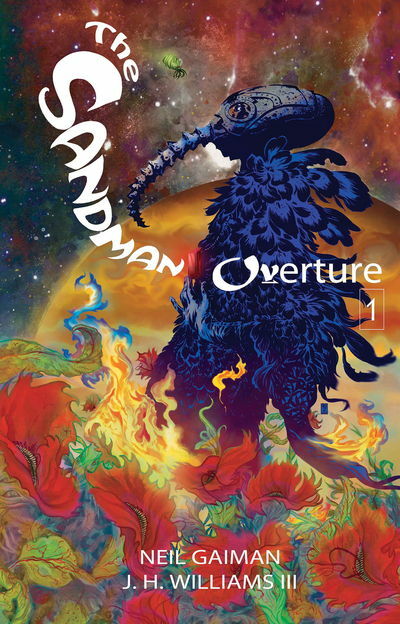 THE SANDMAN: OVERTURE #1-6 plus bonus material. Wonderful. The story provides a great history from Dream and the artwork is amazing. Well it's the sandman. Neil Gaiman's beautiful brain baby. This prequel/overture is full of the storytelling loved in the first stories. It's answers some questions, gives you more questions, and expands on things merely mentioned before. Also, while the art was beautiful before, the art in this is incredible. Very surreal. Legal Notice: Entire contents trademarked (® or TM) and copyrighted (©) 1986-2019 by Things From Another World, Inc. and respective copyright and trademark holders. All rights reserved. Page rendered at 2019-04-23 11:29:47 in 0.316 seconds.